WeChat is a multifunctional social messenger application with over 1 million users across the globe. The expertise of using the app and the features present in it make it the preferable choice among socially active individuals. The reasons for creating a backup differ from one individual to another. Some people make a backup in case they delete the messages accidentally. Some people hope to extract the chat history to computer for further use. Some people just need print out the message for a case or for business. Although the application provides the opportunity to create a backup, it does not allow you to select individual chat history and transfer that to your computer. If you have been using WeChat for quite some time on your iPhone and wished to extract and back up the WeChat messages to a computer, then you are at the right place. The following paragraphs will help you understand the simple solutions through which you can create a backup of the WeChat messages on your iPhone, even though iOS 11 is running on your iPhone. 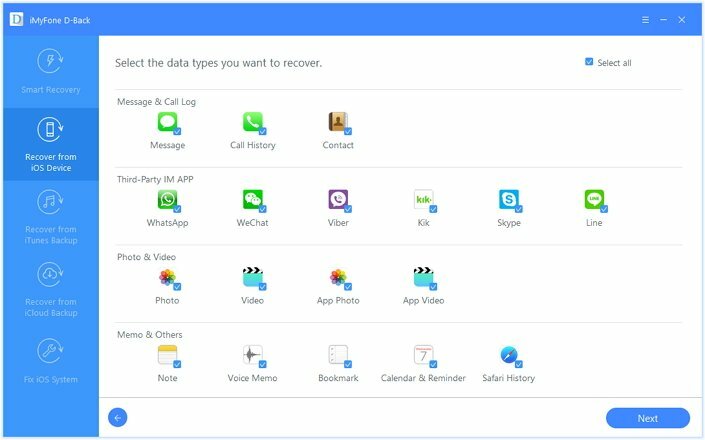 Extract and back up 22+ file types from iPhone to computer such as photos, contacts, videos, text messages, WeChat messages etc. 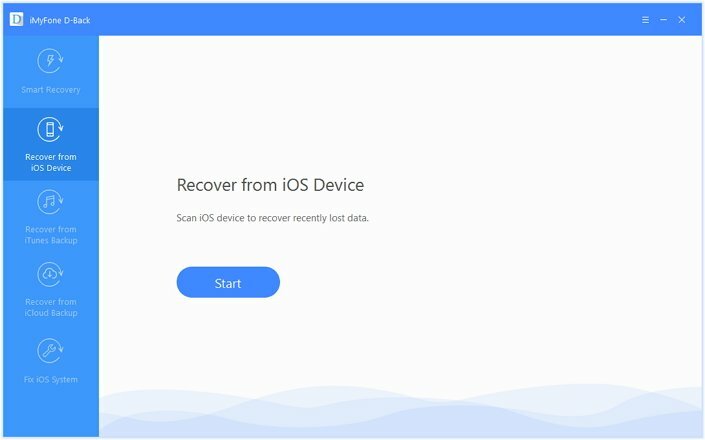 Cult of Mac recommends iMyFone D-Back when you need recover deleted data: "iMyFone D-Back is a great option for anyone who’d like to keep things simple and just get their data back as soon as possible. " Supports extracting data from unreadable iTunes or iCloud backup to computer. Display the extractable or recoverable data before performing recovery. Supports all iOS devices and all iOS versions including iPhone 7 and iOS 11. Step 1: Download the trial version of iMyFone D-Back variant for Windows or Mac. Install the software, launch it, and from the main screen choose “Recover from iOS Device” feature. Step 2: Click the Sart button, connect the device, and from the next screen choose the file format that you wish to back up. In this case, choose WeChat as the file format. Step 3: After the program detects the device, press the “Scan” button under the device as shown below. Step 4: iMyFone D-Back will begin scanning the device. The scanning will be dependent on the size of the WeChat app on your iPhone. Therefore,please patiently wait until the scanning is complete. Once the scanning mode is complete, the program will display all the recoverable content from WeChat application. It includes videos, messages, and photos. You can see them in the preview display by selecting the required options from the left screen. Step 5: You can now begin marking the messages that you wish to back up individually. You further have the option to select all and transfer the entire applications data onto the computer hard drive. As soon as the selection is complete, press the “Recover” button located at the bottom. After iMyFone D-Back completes collecting the information, it will prompt you to select the destination to save the information. You can create a folder on the computer or navigate to an existing folder and wait for the program to complete the process. Establish a connection between the system and the iPhone. Launch iTunes at the same time. If you see a message asking you to trust this computer, follow the on-screen steps to activate the option. Pick your device once it emerges in iTunes. Click “backup now” button to begin creating a backup of the content of the iPhone. The above process will help you backup the entire content from the device. 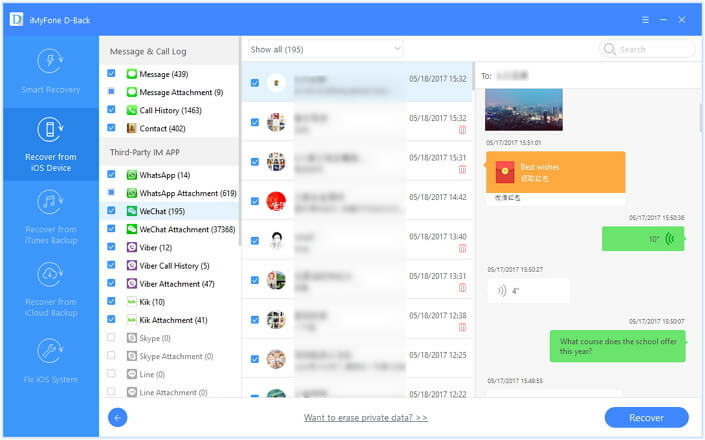 The major disadvantage is that you will not be gaining any access to the WeChat messages on your computer. Therefore, you need to find a better solution for the situation. If you don't want to waste too much time backing up your iPhone to iTunes, or you would like to view the WeChat messages you want to backup at any time, iMyFone D-Back is the best choice for you. 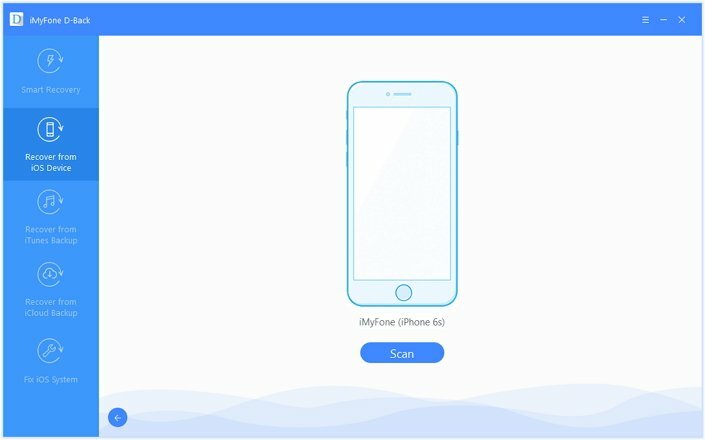 With the help of iMyFone D-Back iPhone data extractor Win or iPhone data extractor Mac (compatible with iOS 11), you can quickly extract and back up WeChat messages from your iPhone to your computer in simple steps as explained above. Get the trial version today! Can I Change My WeChat ID? How to Do That?